Lizard Island is truly secluded from the rest of the world. A National Park covering 1,013 hectares accessible by air from Cairns Airport, the resort is located directly on the Great Barrier Reef, with 24 powdery-white beaches and 40 luxurious suites. Enjoy secluded picnics on private beaches, five star cuisine and indulging spa treatments. Little wonder your island consistently makes the Top 10 Hotels of the World list. This will be a Great Barrier Reef holiday unlike any other. Lizard Island presents elegant, yet understated Barrier Reef accommodation. Choose from a range of rooms and suites offering relaxed luxury. With 24 powdery white private beaches to explore, and access only by private plane, there are no day trippers here – the island is reserved for a fortunate few experiencing an unforgettable holiday on the Great Barrier Reef. Relax in style in premium accommodation, or take in the wonders of Australia’s Great Barrier Reef – right on your doorstep. Lizard Island takes take pride in helping resort guests to have an experience of a lifetime and is proud to be consistently ranked as one of the world's best resorts. 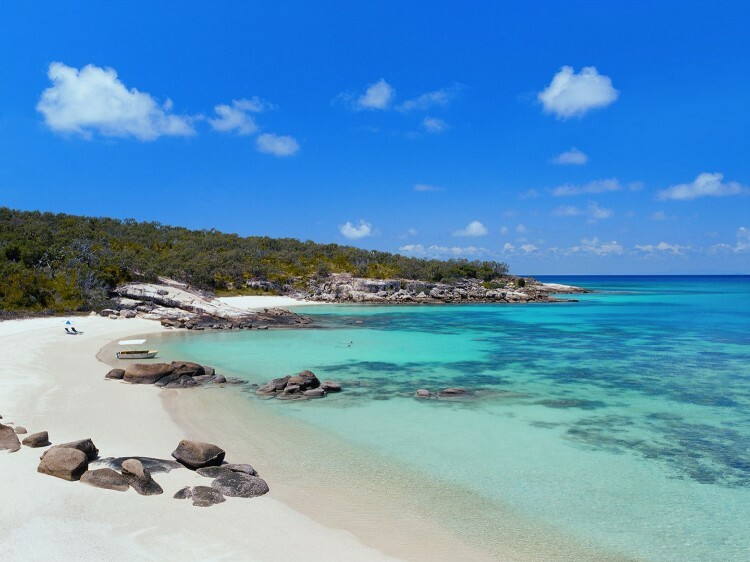 In the 2010 US Condé Nast Traveler Readers' Choice Awards (Category 'Top 20 Resorts Oceania') Lizard Island ranks 8th. Lizard Island was voted second in the category 'Best Australian Resort' in the 2009 Gold List Awards. 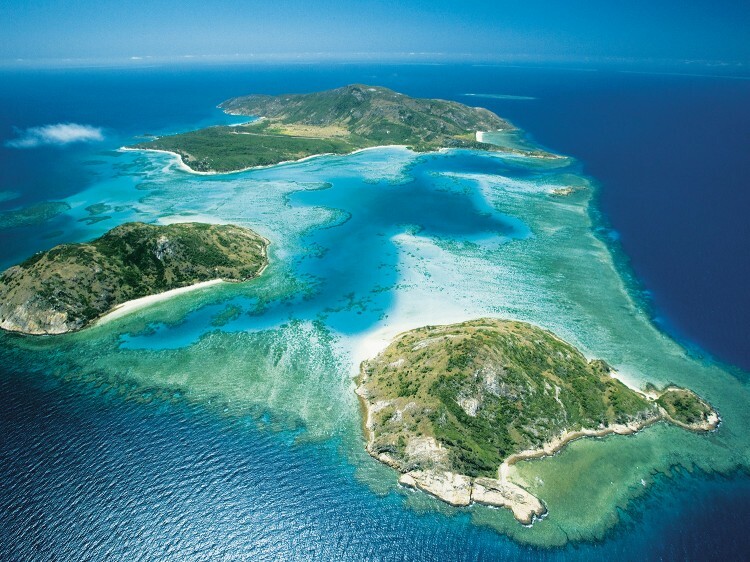 In 2008 Lizard Island was voted as the top hotel in Australia, New Zealand and the South Pacific and one of the top 100 hotels and resorts in the world at the Travel + Leisure World's Best Awards. Lizard Island caters to children 10 years and older. Your tariff includes gourmet meals, unlimited non-alcoholic beverages, selected fine Australian and New Zealand Wines, beer, spirits and Champagne during meal periods at Osprey's Restaurant and Bar as well as picnic hampers for the adventurous. Additional charges apply for Cocktails, the Cellar Master list and Degustation menus. Salt Water Restaurant- simple and relaxed, the idyllic setting to take full advantage of the views along the seascape for a special dining experience. With an accent on fresh seafood and superb local produce, the daily changing menus draw on the flavours of modern Australian, Asian and European cuisine. Driftwood Bar & Wine Cellar - a relaxed lounge, open all day, offers comfortable sofas and an inviting bar area. Enjoy tropical juices, coffee and tea, Australian and imported beers as well as liqueurs and cocktails. Sunset Beach Degustation - for a special Lizard Island dining experience, choose from two beautiful beach locations. Meet with the Island’s Chef to discuss your 7-course degustation menu and the matching wine selection. Minimal service interruptions ensure the ultimate seclusion and privacy. Private Picnics - delicious gourmet picnics on your own private beach are hard to surpass. Take a dinghy to a deserted beach and relax, the Resort will think of everything for you. All picnics include gourmet fresh food and produce created for beach dining by the team of Chefs as well as beverages. Fishing - the waters surrounding Lizard Island boast some of the most exciting fishing in the world. Pre-booking is desirable, particularly during the popular Black Marlin fishing season (September to December). Whether you’re a seasoned big game fisherman, or it’s your first time in the chair, your Captain and crew will make your day fishing on the Great Barrier Reef an unforgettable experience. Outer Reef, Inner Reef and Light Tackle Fishing is available. Snorkelling - Lizard Island provides amazing Great Barrier Reef snorkelling conditions, right off the beach. The “Clam Garden” is only a short swim from the beach at Watson’s Bay, and excellent sites are also found at Anchor Bay, and Sunset Beach - all within short walking distance of your accommodation. Diving - Lizard Island is a continental island surrounded by fringing reef with easy access to the ribbon reefs of the Great Barrier Reef. The world renowned Cod Hole is a 60 minute boat ride from the island on our purpose built dive vessel MV Serranidae. For the experienced diver - Full Day and Half Day Reef Experiences are available. The Discover Scuba Diving Course is designed for beginners or for those certified divers who haven't dived in the last 12 months, a why not take a Refresher Dive Course. Indulge in signature spa rituals and discover pure, opulent skin care in the sanctuary of nature. Rebalance, relax, and rejuvenate while we personalise your spa experience with exclusive La Biosthetique skincare. La Biosthetique Paris exclusive to Lizard Island – Lizard Island is delighted to exclusively partner with modern Parisian apothecary La Biosthetique to provide a unique range of performance facial and body skincare treatments designed to work in harmony with your own bio-chemistry. Wellbeing assessments and programs – Embracing a holistic wellbeing philosophy, a range of lifestyle-related treatments including naturopathic assessments, stress management consultations and personalised yoga or meditation sessions amongst others will form part of the essential Day Spa. East Air Regular Scenic Air Transfer from Cairns Airport to Lizard Island - cost is $355 per person each way from 1 Apr 2018 (subject to change without notice). From Cairns, enjoy a scenic 60 minute flight, over spectacular views of the Great Barrier Reef and the coast, en route to Lizard Island. A driver from East Air will pick you up for a shared road transfer from Cairns Airport to the East Air terminal to await your scenic flight to Lizard Island. The details of your flight to Cairns must be advised at the time of booking accommodation. Please allow a minimum connection time of one hour thirty minutes (1.5 hours) for domestic connections and two hours thirty minutes (2.5 hours) for international connections. East Air flights depart from the East Air Terminal, located at the General Aviation Terminal at Cairns Airport, Hangar 8, Tom McDonald Drive. Check in at least 30 minutes prior to scheduled departure time. If details of your flight to Cairns have been advised at the time of booking, arrangements will be made for the guests to be met on arrival at Cairns Airport by a representative at the baggage carousel in the arrivals hall, for transfer to the East Air Terminal. Scheduled flights transfers operated for guests only by East Air from Cairns to Lizard Island depart daily at 11:00am and 2:00pm. Scheduled flight transfers operated by East Air from Lizard Island to Cairns depart daily at 12:30pm and 3:30pm (flight time is approximately 1 hour). Transfer flights will be arranged once your accommodation is booked and confirmed. Luggage limit is restricted to a total of 25kg per person including one small carry-on piece of hand luggage not exceeding 4kg. Soft suitcases are preferable. Limited luggage storage facilities are available at the East Air Terminal Cairns prior to departure. 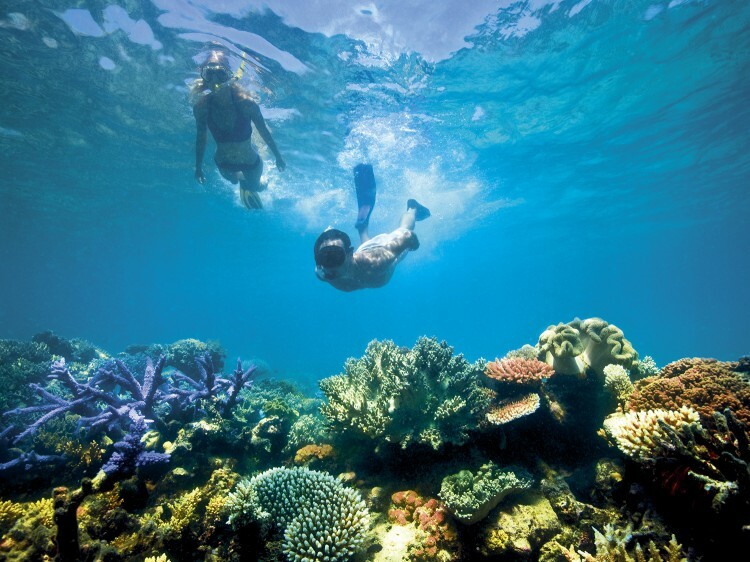 The Great Barrier Reef Marine Park Authority haS implemented an environmental management charge (EMC). The EMC applies to all visitors to the Great Barrier Reef Marine Park. As Lizard Island is located within the Great Barrier Reef Marine Park, the below fee will be incurred and is payable by guests direct on check out: $6 per person per day to a maximum of $18 per person per stay will be charged. Perfectly located for ease of access to the natural beauty of Anchor Bay. These rooms are designed to ensure a relaxing stay and feature the understated interior design elegance that Lizard Island is renowned for. Smaller than the suites, these rooms also feature a premium in-room sound system, LCD Smart Televisions and Apple docking stations. Bedding includes a king-size bed or 2 king single beds (max 2 people). Size 44sqm. Balconies provide guests with a sense of secluded privacy and total immersion into the lush tropic and beach surroundings. Easy access directly onto the beach and interiors by the Hecker Guthrie team - make these small suites comfortable, intimate and welcoming. Premium in-room sound system, LCD Smart Televisions and Apple docking stations. Bedding includes a king-size bed and a double sofa bed (max 4 people). Size 62sqm. Set high on Sunset Bay offering filtered sea views over Anchor Bay or Sunset Beach and easy access to a string of secluded beaches. The Hecker Guthrie interiors and new bathrooms make these rooms ideal for the relaxed island life. Only steps from the beach, each Villa has a private deck with table and chairs. Relax and enjoy the view of lush island greenery, calm sea water and white sandy beaches. Villas include a premium in-room sound system, LCD smart televisions and Apple docking stations. Bedding includes a king size bed (max 2 people). Size 59sqm. Set high on Sunset Bay offering filtered sea views over Anchor Bay or Sunset Beach and easy access to a string of secluded beaches. Hecker Guthrie interiors and new bathrooms make these rooms ideal for the relaxed island life. Only steps from the beach, each Villa has a private deck with table and chairs. Relax and enjoy the view of lush island greenery, calm sea water and white sandy beaches. Premium in-room sound system, LCD Smart Televisions and Apple docking stations. Enjoy the added luxury of a private plunge pool, 3.3 metres and 1.12 metres deep wide looking out towards the beach. Bedding includes a king size bed (max 2 people). Size 55sqm+. Set in a broad sweeping arc along Anchor Bay, with easy access to the main Lodge, Anchor Bay Suites offer captivating sea views and each has a pathway leading directly to the beach. Hecker Guthrie interiors seamlessly blend the indoors and out in an elegant and spacious open plan design. The large verandah with its traditional daybed is the perfect location to relax and take in the natural beauty of Lizard Island. Suites include a premium in- room sound system, LCD smart televisions and Apple docking stations. Bedding includes a king size bed (max 3 people). Size 87sqm. Positioned high above the Coral Sea and set on the point of Sunset Bay. The Pavilion combines complete privacy with a spectacular 270-degree panorama of Anchor Bay, Osprey Island and Sunset Beach. Hecker Guthrie designed interiors offer a neutral palette with touches of colour that take their inspiration from the reef – coral, blue and green. The lounge, Which opens onto the expansive deck with plunge pool is a statement in understated elegance and offers the perfect inside-out ambience. The plunge pool and secluded outdoor seating are perfectly positioned to make the most of sea breezes with gorgeous views extending the private landscape of this stunning suite. Premium in-room sound system, LCD Smart Televisions and Apple docking stations. Guests will be able to enjoy daily sunset champagne and canapés served in their room. Bedding includes a king-size bed with rollaway bedding for additional guests (max 3 people). Size 97sqm.